Judy's interpretation of Sephardic songs is significant not only for its haunting and lyrical musical presence, but also because of her careful attention to Ladino pronunciation. Judy gets it right. Also, she learns her songs directly from Sephardim, helping to preserve what otherwise might be lost from a fading oral tradition, and remarkably, sets to music poems of current Sephardic poets, helping to create a new legacy of Sephardic musical literature. Rachel Amado Bortnick, native speaker of Ladino, at the 2000 conference of the Society for Crypto-Judaic Studies. She saved this music — not single-handedly and certainly not all of it, but what she collected from these people would have been lost without her. It was a mission: she had to gather and preserve. It was always about the tradition. Her voice was very beautiful, but that wasn't her emphasis. Her emphasis was on conveying the tradition and honoring the people who taught her the song. When Judy performed songs in Ladino ... she would always give credit to the person who had taught her each song she sang. She saw herself as a vehicle for keeping the Judeo-Spanish culture alive and vibrant, especially because some of the Ladino-speaking communities (e.g., in Greece) had been decimated during the Holocaust, and because the Ladino language is being lost through assimilation. 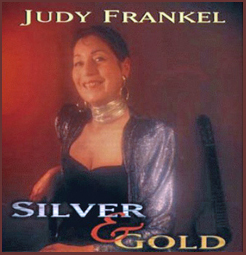 Unlike many contemporary "Ladino singers", Judy Frankel never tried to jazz up the old songs or perform them in a way which was not consistent with the traditional arrangement. She never attempted to mold the old Sephardic songs into New Age fluff or cheap sounding pop tunes. Because of Judy's diligence to preserve songs in a most authentic way — the way they were originally sung at home, she leaves behind a true oral tradition for future generations to cherish. Many musicians talk about "collecting" songs. Judy didn't. She talked, with never-failing appreciation and affection, of "harvesting" songs, and always credited the people from whom she learned them. She concentrated on the people, not musical transcriptions or second-hand recordings. Judy was one of the first (and still, regrettably, one of the few) singers of Sephardic songs who, from the beginning, learned songs directly from the people whose tradition it was. ... A capable researcher, Judy did good background research, but understood that, unlike early music, where all we have are manuscripts, traditional singing is really only properly learned from the traditional singers. 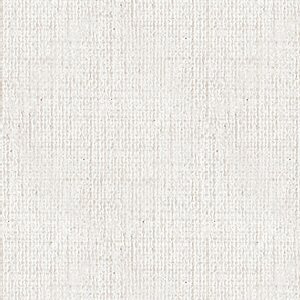 Rachel Amado Bortnick ... in one sequence [ofTrees Cry for Rain (see Film)] ...painstakingly corrects the singer Judy Frankel's pronunciation. When Ms Frankel responded to my questionnaire, she was one of the very few outsider performers who echoed tradition bearers' emphasis on pronunciation as a key criterion for evaluating Judeo-Spanish song performance. My feeling — my hope — is that I have learned to sing the songs as accurately as possible from the people who've been my mentors and interpret them in the way that they would want me to, and just sing without any extra personality.